With Father’s Day coming on Sunday, you may be in the midst of planning what to do for dad. 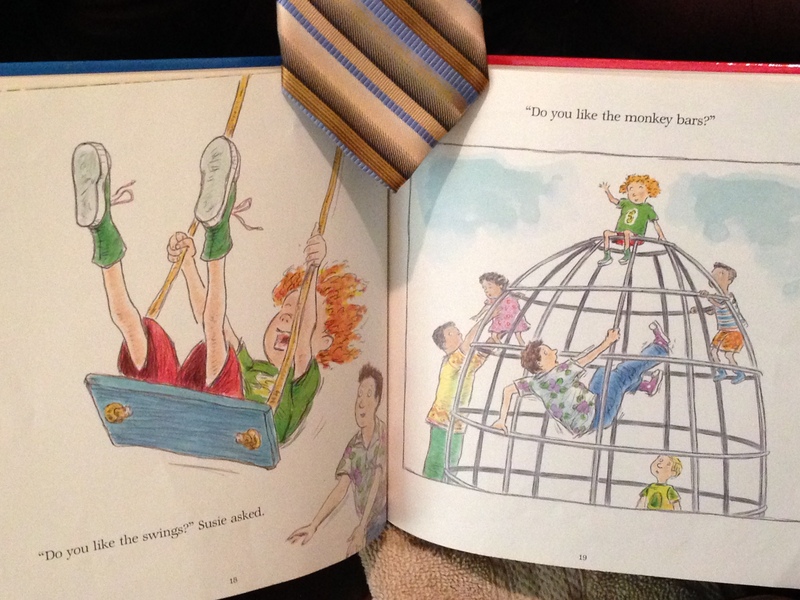 This cute book puts a twist on the selection of events for the day. Another fitting title for this book may be, “Daughter’s Day Out on Father’s Day”! The story captures the special relationship that can exist between Fathers and their children, and how a Dad’s attention, perspective and love make all the difference. Father’s Day Morning: Susie, Daddy’s little girl, sneaks up on him while he’s resting in his chair after reading his morning paper. She has a day planned out for dad, beginning with lunch . . . at her favorite place. ” ‘This is your favorite food, isn’t it, Dad?’ she asked. 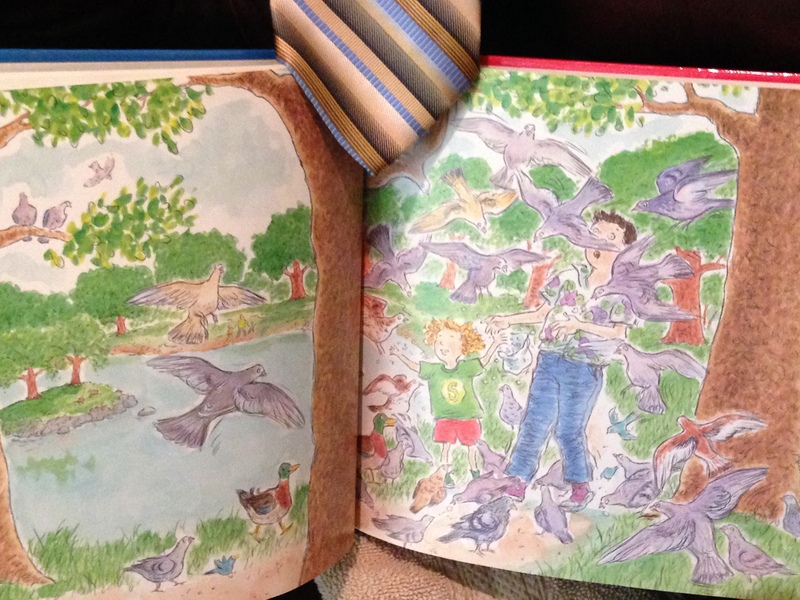 Next she takes him to the duck pond, where dad buys Susie food for the ducks. Then off to the park, where dad pushes her on the swings, climbs the monkey bars, and pays for her to ride the merry-go-round. Susie suggests a red balloon for a gift, so dad buys two, one for Susie and one to take home to mom. ” ‘Are you having a good Father’s Day, so far?’ Susie asked. They make it home for dinner with Mom, and enjoy her homemade Father’s Day cake with four candles on it, one for each year he has been Susie’s Dad. Susie is quite proud to tell her mom all about their day out doing all of Dad’s favorite things and going to Dad’s favorite places“! Dad closes the day with a hug. From the 7 suggestions, select the ones that will help your kids decide what their dad, grandfather, or the “father-figure” in their lives will enjoy this Father’s Day. F- What will make your dad feel loved and special this Father’s Day? R- Which activity from this story can you most relate to doing with your dad? I- Imagine that you could plan a day for Dad doing anything you wanted to do with him. What would you plan? N- Navigate your Father’s Day plans for Dad by making a map of where you are going to take him or by creating a treasure map with clues leading to his gift. 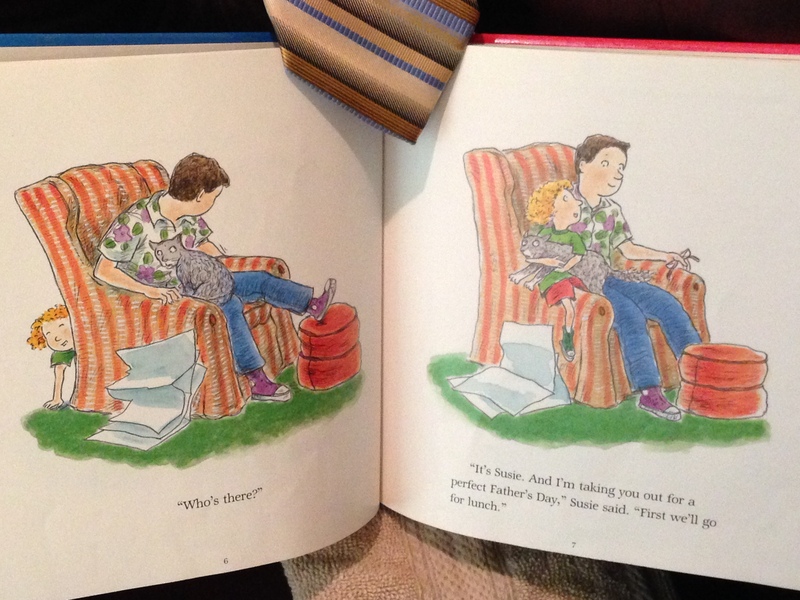 D- Develop another page in the book by adding an activity for Susie and her Dad to do together. S- Share the greatest gift with you dad on Father’s Day, LOVE. Subscribe to http://www.kidsbookfriends.com by entering your e-mail address on the main page of my blog site. You will receive each post directly to your e-mail. Join Kidsbook Friends on Facebook as I post many more great books, activities, contests, and events daily. 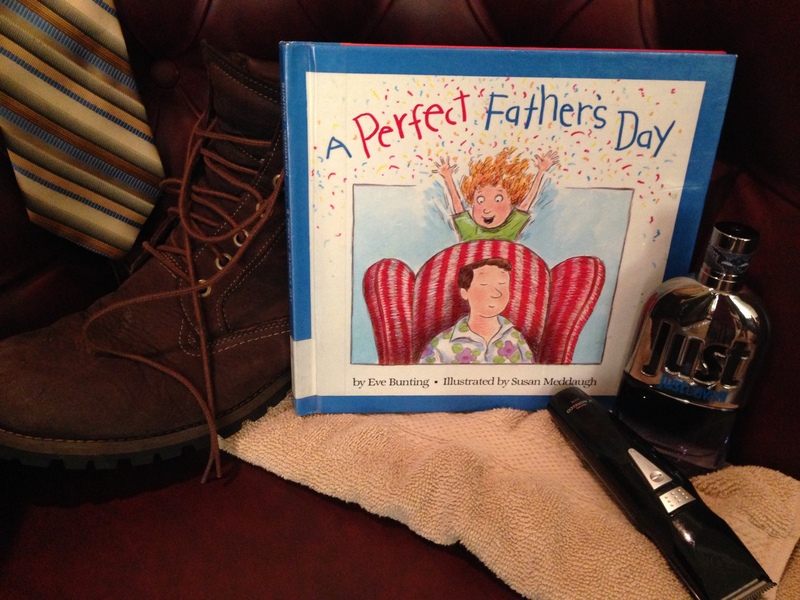 This entry was posted in Father's Day and tagged A Perfect Father's Day, Clarion Books, Daddy-daughter dates, Eve Bunting, Father's Day, Father's Day Books, Susan Meddaugh. Bookmark the permalink.